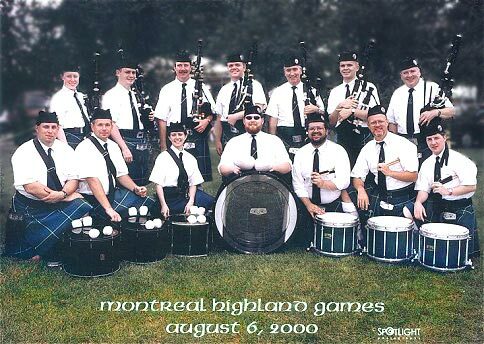 The band continues to thrive as it competes in grade three, one of the highest grades offered in the Eastern United States Pipe Band Association, where it has ranked among the top three bands in each of the last two seasons. A regular, since its inception, in New York City's St. Patrick's Day Parade, Monaghan performs at numerous functions in the New York City metropolitan area year round. The band has performed at Radio City Music Hall on the opening night of Riverdance, and as the musical guests on CBS' This Morning. For booking information, or for information on how to join the band, call band manager Dan Hamilton on the Monaghan Hotline at (516) 457-9797 or e-mail him at MonaghanPB@yahoo.com. Number of page visits since November 27, 2000.